One of the things that really frustrates me in spirits is that some people feel that certain spirit categories are unapproachable. 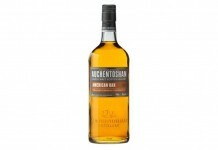 Scotch whisky is one of those spaces that people feel that they need some sort of degree or knowledge base in order to pony up to the bar and order a dram. The truth is, you don’t have to know a damn thing about whisky to enjoy it. I always advise new whisky drinkers to go to a bar on a slow night and ask the bartender to partition one shot among three whiskies from different regions of Scotland. Splitting up two ounces into three parts gives you a real opportunity to taste a few whiskies and find the one you like best. For me, the region of Scotland that resonates the most is Islay. Located on the west coast of Scotland, Islay whisky is characterized by smoky and salty notes.The smoke comes from peat, which is a dense, earthen material made from decomposed marine matter. Peat is burned to dry the malted barley before it’s fermented and distilled into whisky. I often describe the smokiness in a Islay whisky like tasting a campfire in a glass. The salty notes actually come from the aging process with marine water actually being in the air and interacting with the barrels of aging whisky. 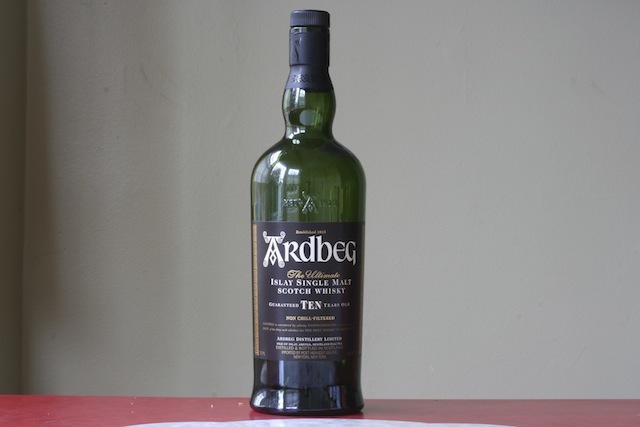 One of my go-to Islay whiskies is Ardbeg. Commonly found for around $50 a bottle, the Ardbeg 10 Year Old Single Malt Whisky is one of the best base products in the Scotch whisky space. The nose on Ardbeg is clearly smoky, but in a good way. 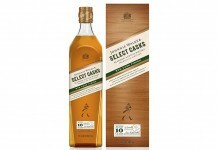 The smoke is there to greet you in the glass but doesn’t hide the other aromas which are there right behind it. Beyond the peaty smoke is a slight iodine/Band-Aid smell (in a good way), and then you get the salty notes backed by a nice honeyed vanilla. What I love about Ardbeg the most is the taste. From the moment that Ardbeg hits your mouth it’s an explosive symphony of flavors. As with the nose, the smoke is right there, followed by the salt, and then the sweet. Each note is bright, strong, and flavorful without any note being overbearing or overwhelming. The finish has a nice dash of heat with all the flavors of the whisky sticking around long after you’ve finished your last drop. When people ask me why I love spirits, I often sit them down and pour them a dram of Ardbeg. For me, it sums it all up.